Interpipe Holdings Limited (Cyprus) could issue loan participation notes for $330 million at up to 10.25% per annum and due on December 31, 2024, according to the updated agenda of the general meeting of the meeting of Interpipe Nyzhniodniprovsky Pipe Rolling Plant (Interpipe NTZ) scheduled for April 25. 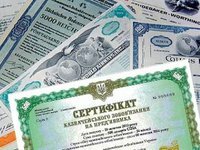 According to the document posted in the information disclosure system of the National Commission for Securities and the Stock Market, the meeting will discuss giving consent to provide Interpipe NTZ with guarantee under an agreement between Interpipe Holdings Limited, as a bond issuer, and the trust company Madison Pacific Trust Limited as a trust manager of bonds. It is planned that the bonds will be depreciable: $150 million on them will be repaid before December 31, 2023. Earlier in April, Reorg Research reported, citing its sources, that Interpipe received 100% creditors' consent to the proposal to restructure its obligations and plans to complete it by June 30 of this year.